I'm mainly just going to talk straight from the old thinker on this blog. 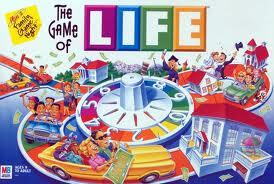 What is life to u? Life is but a vapor the bible say's, it's a roller coaster full of up's and down's and twists and turns. "Life is like a box of chocolates you never know what your going to get," according to Forrest Gump. By the way that is one of my favorite quotes. To each person life means something different. 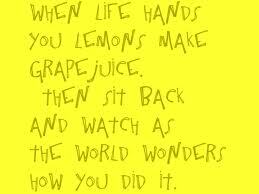 Life isn't always fair, sometimes it deals you lemons and u got to make lemonade. You got to keep on keeping on and take what life throws at you. For my life in general it's all about Jesus and the Apostolic Faith that i was raised knowing about. To some it's the next party they can go to or the next time they can get drunk or fornicate with there girl or boyfriend. Life for an Apostolic should be totally different from someone that is in the world. God has called his bride to be Separate. Not to do that of the world and the things they partake in. We are in there life but not of there life. We are all called to the Great Commission which is to teach all nations baptizing them in the Name of Jesus. If were not witnessing to people in Life and not showing them Jesus, we've missed the mark. Personal evangelism is the best way to tell people about Jesus. If your not i challenge you to do so. It's Life you can't do anything about it so just deal with it, make the best of it, and go on Loving Jesus.